The receipt of unemployment compensation benefits upon termination or reduction in employment impacts directly on the welfare of a claimant and his/her family. A pay check may stop, but bills and mortgages continue. A lot is at stake when an employer contests an unemployment compensation claim. We believe that it is extremely important for claimants to be represented by an attorney at an unemployment compensation referee hearing. Generally, the referee hearing is a party’s only opportunity to present evidence. The record created at the referee level is what the unemployment compensation board and Appellate Courts base their own decisions upon, with few and infrequent exceptions. Employers are generally represented at a referee’s hearing by an attorney or an experienced Human Resources representative. 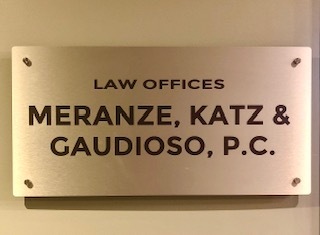 To maximize the chances for a successful claim, it is important to level the playing field through having a zealous advocate. If you have been terminated or otherwise separated from employment, or experienced a reduction in employment, please contact us to discuss your situation and representation.